The Vedas are probably the earliest documents of the human mind and constitute the oldest layer of Sanskrit literature and scriptures of Hinduism. It is believed that humans did not compose the Vedas but has been handed down through generations by word of mouth - they are supposed to have been directly revealed, and thus are called sruti ("what is heard"), distinguishing them from other religious texts, which are called smṛti ("what is remembered"). The individual verses contained in these compilations are known as mantras. “Veda” means wisdom, knowledge or vision, and manifests the language of the gods in human speech. The laws of the Vedas regulate the social, legal, domestic and religious customs to the present day. 4. Atharva Veda – spells, incantations, apotropaic charms and speculative hymns. All Vedas are based upon the Rig Veda and consist to a large degree of various hymns from it. Rig Veda manuscripts have been selected for inscription in UNESCO's Memory of the World Register in 2007. The Rig Veda Samhita is the oldest extant text. It is a collection of 1,028 Vedaic Sanskrit hymns,102 Suktas and 10,600 verses in all, organized into ten books (Sanskrit: mandalas) which are filled with good thoughts to purify the human mind through knowledge. The hymns (mantra) are dedicated to Rig Vedaic deities. The Rig Veda contains several mythological and poetical accounts of the origin of the world, hymns praising the gods, and ancient prayers for life, prosperity, etc. Some of its verses are still recited as Hindu prayers, at religious functions and other occasions, making it probably the world's oldest religious texts in use. The Rig Veda is built around a science of sound which comprehends the meaning and power of each letter. Every natural element has been contemplated upon and spoken about. Darkness is symbol of illusionary living, devoid of wisdom, justness and sagacity. 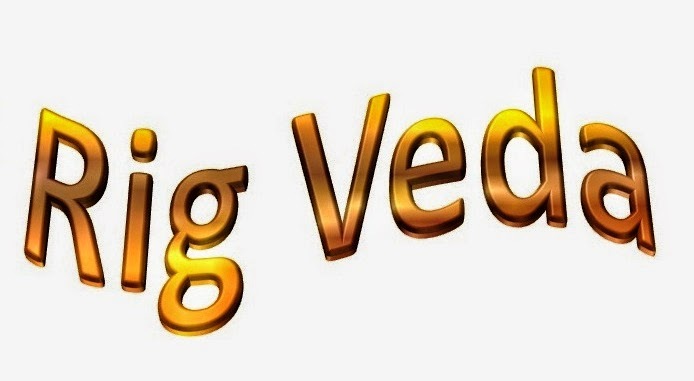 Most aspects of Vedaic science like the practice of yoga, meditation, mantra and AyurVeda can be found in the Rig Veda and still use many terms that come from it. The 10 books, known as Mandals, are of varying age and length. Mandals 2–7: The "family books" are the oldest and shortest of the Rig Veda and arranged by length (increasing number of hymns per book), account for 38% of the text. Within each book, the hymns are in collections dealing with a particular deity: Agni comes first, Indra second and so on. Within each, hymns are arranged in descending order of stanzas per hymn. If two hymns have equal stanzas the number of syllables in metre are in descending order. 8 and 9 Mandals: of mixed age, account for 9 to 15% respectively. 1 and 10 Mandals: youngest and longest, account for 37% of text. Mandal 1 comprises 191 hymns. Hymn 1.1 is addressed to Agni, and his name is the first word of the Rig Veda. The remaining hymns are mainly addressed to Agni and Indra, as well as Varuna, Mitra, the Ashvins, the Maruts, Usas, Surya, Rbhus, Rudra, Vayu, Brhaspati, Visnu, Heaven and Earth, and all the Gods. Mandal 2 comprises 43 hymns, mainly to Agni and Indra. It is chiefly attributed to the Rishi gṛtsamada śaunahotra. Mandal 3 comprises 62 hymns, mainly to Agni and Indra and the VishVedaevas. The verse 3.62.10 has great importance in Hinduism as the Gayatri Mantra. Most hymns in this book are attributed to viśvāmitra gāthinaḥ. Mandal 4 comprises 58 hymns, mainly to Agni and Indra as well as the Rbhus, Ashvins, Brhaspati, Vayu, Usas, etc. Most hymns in this book are attributed to vāmadeva gautama. Mandal 5 comprises 87 hymns, mainly to Agni and Indra, the VisVedaevas ("all the gods'), the Maruts, the twin-deity Mitra-Varuna and the Asvins. Two hymns each are dedicated to Ushas (the dawn) and to Savitr. Most hymns in this book are attributed to the atri clan. Mandal 6 comprises 75 hymns, mainly to Agni and Indra, all the gods, Pusan, Ashvin, Usas, etc. Most hymns in this book are attributed to thebārhaspatya family of Angirasas. Mandal 7 comprises 104 hymns, to Agni, Indra, the Visvadevas, the Maruts, Mitra-Varuna, the Asvins, Ushas, Indra-Varuna, Varuna, Vayu (the wind), two each to Sarasvati (ancient river/goddess of learning) and Vishnu, and to others. Most hymns in this book are attributed to vasiṣṭha maitravaruṇi. Mandal 8 comprises 103 hymns to various gods. Hymns 8.49 to 8.59 are the apocryphal vālakhilya. Hymns 1–48 and 60–66 are attributed to thekāṇva clan, the rest to other (Angirasa) poets. Mandal 9 comprises 114 hymns, entirely devoted to Soma Pavamana, the cleansing of the sacred potion of the Vedaic religion. Mandal 10 comprises additional 191 hymns, frequently in later language, addressed to Agni, Indra and various other deities. It contains the Nadi stuti sukta which is in praise of rivers and is important for the reconstruction of the geography of the Vedaic civilization and the Purusha sukta which has great significance in Hindu social tradition. It also contains the Nasadiya sukta (10.129), probably the most celebrated hymn in the west, which deals with creation. The marriage hymns (10.85) and the death hymns (10.10–18) still are of great importance in the performance of the corresponding Grhya rituals.